At the height of the granite industry, 129 quarries existed in Maine with 83 considered major operations. A resource for information about workers comes from the Report of Industrial and Labor Statistics. People involved in the Maine granite industry came from across Europe. Men and boys from Italy and Scotland (carvers), Finland and England (paving cutters), Sweden (paving cutters and blacksmiths), French from Canada (laborers) and Germans (blacksmiths) were amongst the early workers. Granite is igneous rock that is crystallized from magma slowly cooling below the surface of the earth. Magma forms below earth’s surface while lava cools above the surface of the earth. Examples of lava are obsidian and basalt, which the Nylander museum has in its collections. The further from the earth’s crust, and the slower the magma cools, the stronger the granite. For example, in quarries along the coast of Maine, granite was found up to five miles deep and in the area of Sullivan, the granite is more than 420 million years old. As it solidifies underground, the various mineral grains grow from the melt to produce the interlocking mosaic of grains seen in the rock. Since granite must form underground, the fact that we see it at the surface today means that through geologic time a significant amount of surface rock has been removed by erosion. Cadillac Mountain in Acadia National Park was a magma chamber two miles down from the surface of the earth. Since it was so deep, the minerals cooled very slowly. Glaciers came through the area four different times, ripping the mountain range apart, eroding the high peaks and exposing the granite rock, which is now the mountain range. In addition to a visit to the Nylander Museum and a wide array of information about Maine granite on the internet, two places to see everything granite are the Maine Granite Industry Historical Society Museum on Mount Desert Island and Deer Isle Granite Museum. A visit will yield a look at varieties of granite, the kind of equipment used in quarries, and how granite was split, carved and transported through the centuries. 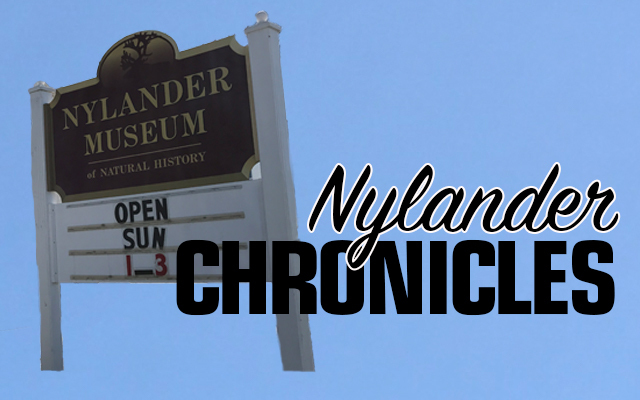 This column is the work of members of the Nylander Museum’s Board of Trustees.